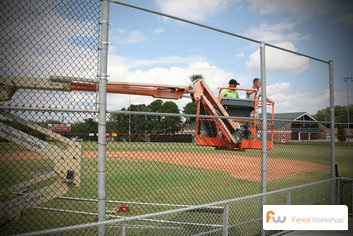 Fence Workshop™ of Kissimmee supplies quality chain link fencing for our great customers in Kissimmee, Florida. Kissimmee is a great large city, but it’s easy to escape to the more relaxed neighborhoods whenever you want. This diverse area has so many different fencing needs, and a chain link fence can do the trick. With it’s plethora of uses, you can easily close in a property, add athletic fencing or hundreds of other fencing options. If you’re a homeowner or contractor in or around Kissimmee, Florida and are looking for a reputable fence company to supply a chain link fence for your home or project, we want to be your go-to fence supply company. Why choose Fence Workshop™ for chain link fencing in Kissimmee, Florida? We supply all styles of chain link. We supply chain link additions like screens, barbed wire, razor wire and mini-mesh. For residential jobs, we carry domestic chain link fencing that is up to 5 times stronger than many competitors imported chain link. Because of an advanced galvanization process, our chain link is highly rust resistant and manufactured to last a lifetime. Our colored chain link has an actual vinyl coating and not a painted coat. 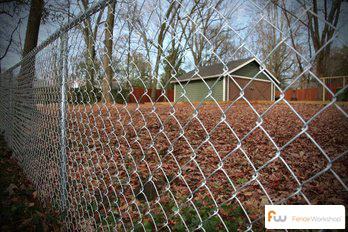 All chain link fences are supplied by our Fence Supply Experts. 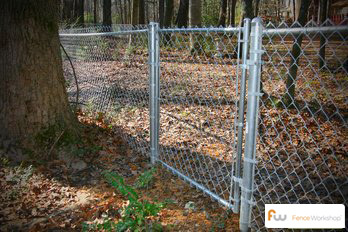 All of our chain link fences come with a Limited Lifetime Manufacturer’s Warranty. Steel Fences In Kissimmee, FL. Farm Fences In Kissimmee, FL. Aluminum Fences In Kissimmee, FL. Wood Fences In Kissimmee, FL. Vinyl Fences In Kissimmee, FL. Home Fences In Kissimmee, FL.